Fall is the perfect time for making these 7 easy pumpkin recipes. The pumpkin recipes are easy and fun for the entire family. If you’re looking for some treats to add to your pumpkin pile, you’ve come to the right place. Fall is one of my absolute favorite times of the year. Growing up in Colorado we broke out the sweaters, enjoyed the changing leaves, and made pumpkin treats. Down here in Florida we turn the air way down and make even more pumpkin treats. There are so many great, easy recipes out there and we have quite a few here. So, be sure to bookmark this page and try the different recipes. I promise you’ll love ’em. This might top the list of favorite pumpkin desserts. For starters, it’s super easy to make. 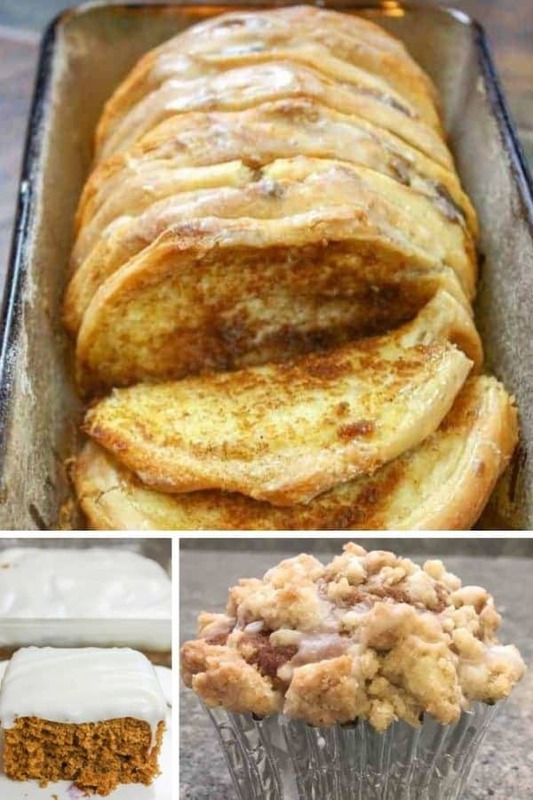 You start with a can of biscuits, some basic ingredients, bake the bread, and drizzle the icing over the top. The taste is out of this world delicious. I love to not only fill my kitchen with the scents of pumpkin spice but eat it, too. Good stuff. It even tastes amazing reheated. You can guess that I love icing. 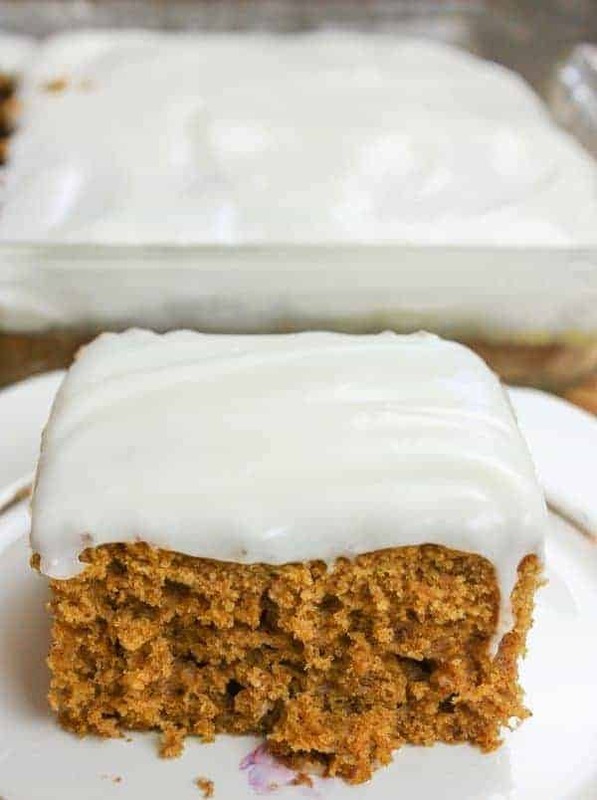 Pumpkin bread with maple cream icing is pretty amazing with or without the icing. It’s moist, flavorful, and packed full of pumpkin goodness. The icing features maple syrup for a real fall taste. Muffins are always a good treat, especially right out of the oven. They can be reheated or eaten cold. Either way, they are delish. I like the contrast between the moist muffin and crumbly topping. 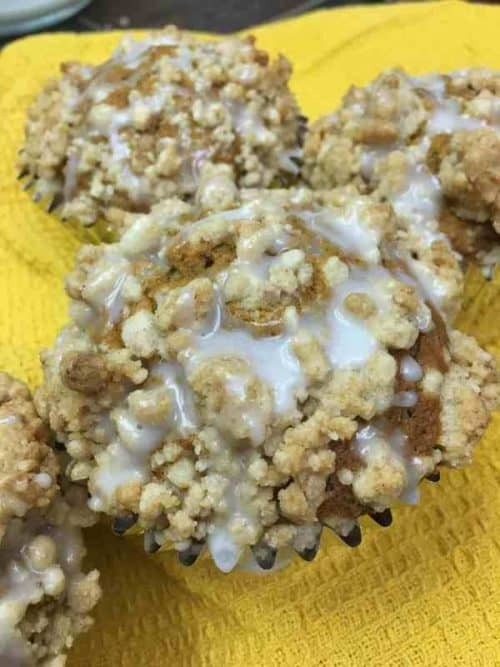 It’s the perfect streusel. 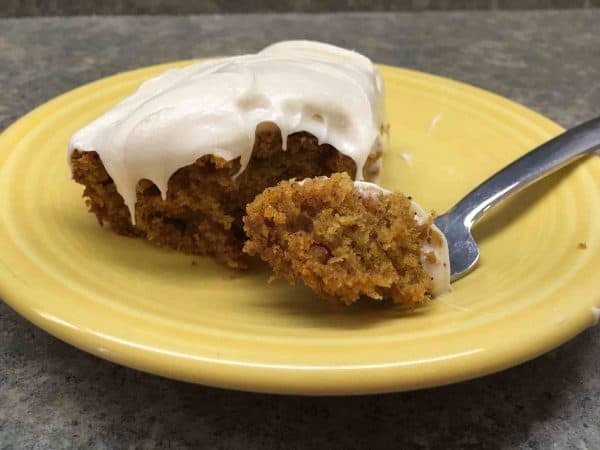 These pumpkin bars with cream cheese frosting are pretty amazing. Cinnamon, nutmeg, ginger, and all the spices of fall are in the bars. 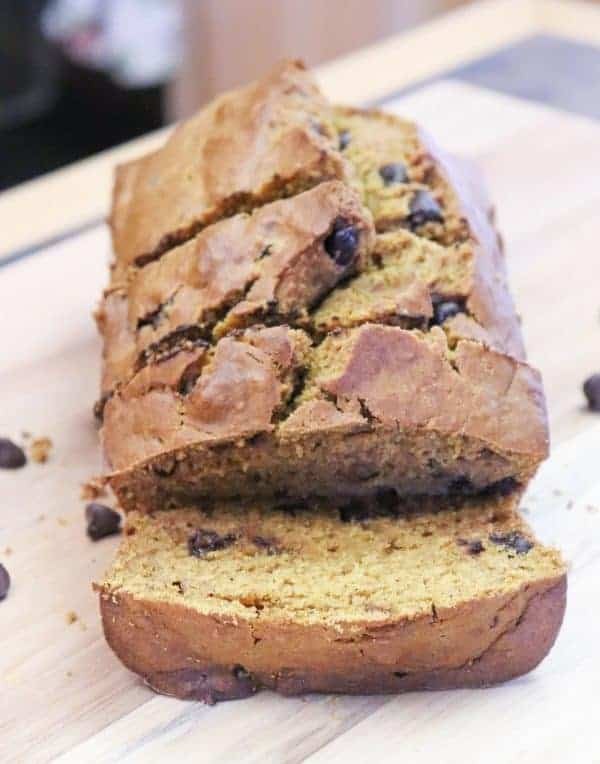 If you’re not big on chocolate chips in your pumpkin bread, you can leave them out of this recipe. 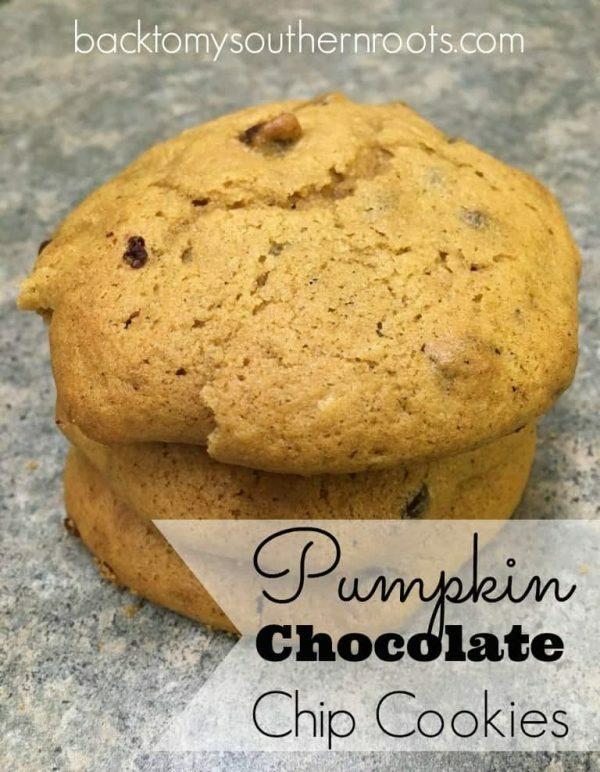 But, believe me, the chocolate chips are a great combination with the pumpkin flavors. The recipe is large enough to make two loaves so you’ll have plenty. You can also split the recipe in half and only make one loaf. The second loaf can be frozen and saved for later. Or, you can just eat them all at once. The loaves make great gifts for neighbors, teachers, and friends. Pumpkin Spice Cake with Cream Cheese Frosting is another easy recipe that doesn’t disappoint. The dessert makes the perfect cake for the holidays or birthdays. The frosting is made with cream cheese, butter, and powdered sugar. Need I say more? Ok, I will. It’s a rich and creamy dessert that will make you feel like the fall is complete with the addition of this cake. These pumpkin chocolate chip cookies have a very deep, brown sugar and pumpkin flavor. They are chewier than the typical chocolate chip cookie. 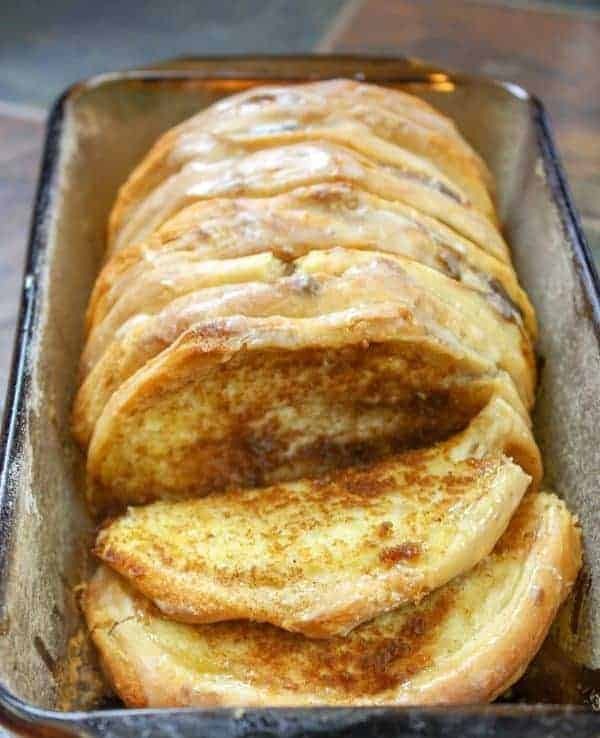 The recipe is easy to make and uses all the flavors of fall including cinnamon, ginger, and cloves. Good stuff here. These make the perfect cookie for an after-school treat during the winter months. Be sure to let me know what your favorite recipe is in the comments. I love to hear from you!